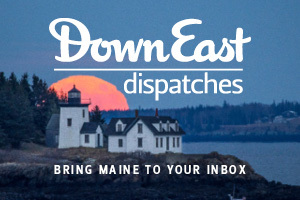 [I]n Maine, old and new often exist side by side — or even closer. A historic Grange Hall hosts yoga classes, a red-brick elementary school becomes condominiums, an 1820s home sits around the corner from an angular modern dwelling. We love our history, these situations seem to say, but we’re certainly not stuck there. Some of the most intriguing interplay between past and present occurs in the mills that once anchored many Maine towns. Entrepreneurs are endlessly tackling these hulking industrial spaces, reimagining them as engines of vitality, community, and commerce. That’s exactly what Jim Paquette has in mind at Mill 67, his gorgeous new restaurant in the Sanford Mill. 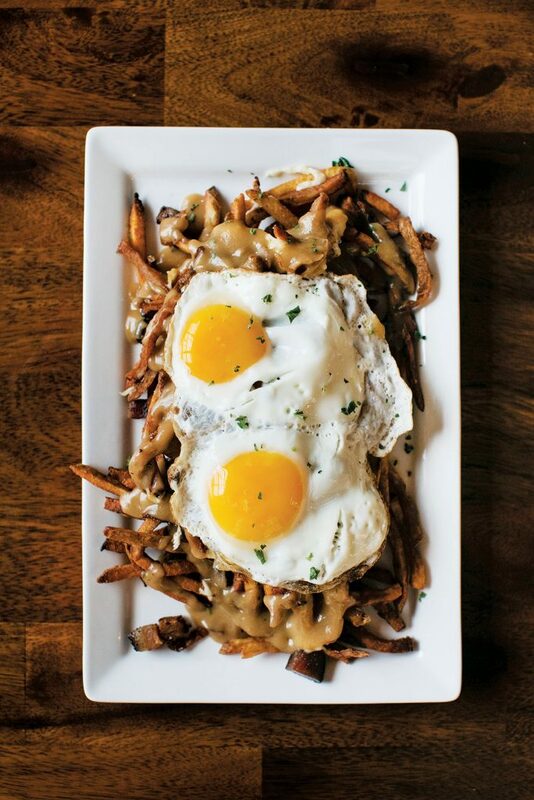 Appetizers, like this killer duck poutine topped with fried eggs and pork belly, are among Mill 67’s strong suits. Paquette quickly overcame his concerns about competing with himself — Backstreet Grill is just three blocks away — and dove into the project, ultimately designing a comfortable and genuinely striking restaurant interior. 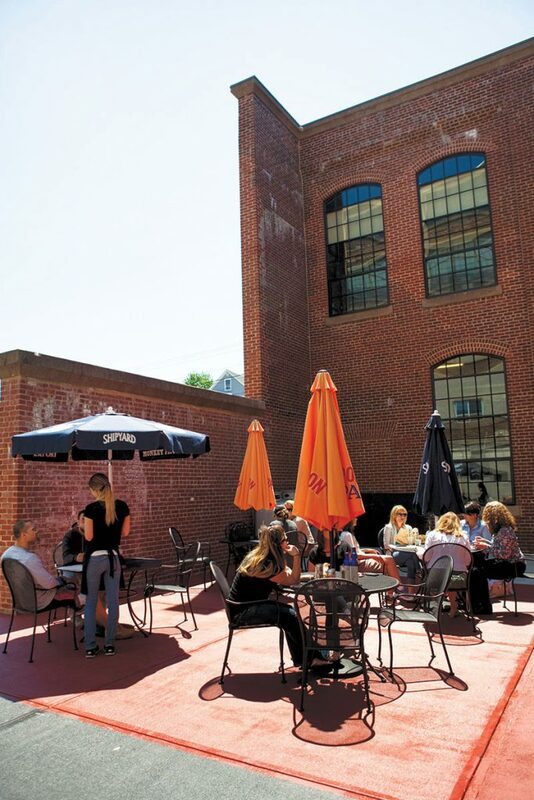 Like other successful mill-based restaurants — Brunswick’s Frontier, Saco’s Run of the Mill — Mill 67 embraces its industrial past rather than papering over it, with enormous windows overlooking the Mousam River and exposed wood, brick, and pipes. While some mill spaces can feel vast and a little empty, Mill 67 manages to be cozy and inviting — you can sit at the long bar, or at tables high and low in either the bar area or along the wrap-around windows. Given Paquette’s original reaction to the space, it’s no surprise that the beer list is strong, with plenty of Maine brews to choose from. The specialty cocktail menu, however, veers toward the sweet and sticky. The menu at Mill 67 — the name is a nod to the mill’s opening in 1867 — is heavy on the comfort food of Paquette’s Franco-American heritage. On a recent visit, duck poutine was an irresistible appetizer special. A heaping pile of crispy shoestring fries was covered with just-salty-enough gravy, a smattering of cheese curds, and bite-size pieces of duck — a somewhat nouvelle twist on the classic dish. In a half-hearted nod to healthy eating, we also ordered a salad. But executive chef Matt Enking’s philosophy about portion size seems to be that bigger is better, so any health points we might have gained were promptly eliminated by the enormous tangle of Boston lettuce, blue cheese, grape tomatoes, and red onion that appeared alongside the poutine. My Pepe worked in a tannery in Biddeford for his whole life. For me to be able to open my second restaurant in a mill was really cool. Mill 67’s entrée list ranges from pizza, burgers, and panini to an array of risotto dishes, seafood pie, and baby back ribs. The execution varies a bit — a burger ordered medium-rare was rather well done on arrival, although a dish of moist meatloaf and mashed potatoes was hearty and satisfying — and service isn’t up to the standard you might expect given the striking surroundings. Fortunately, Mill 67’s prices are reasonable, perhaps leading diners to be more forgiving of the inconsistency than they might if faced with a bigger check.